Daily life is hard without snow, as a passionate Freerider and winter-loving person one tends to feel a bit alien in the City of Vienna. People complain about the coldness, and you are just hoping that it’s getting colder as fast as possible. You wish for as much snow as possible, so there might be opportunities for some shredding in the Viennese forests or even in the City’s green spaces. One is missing winter buddies and intense talks about lines and plans and snow conditions. Social media is clad with winter photos from mid October on. And my heart wants to leave for the mountains immediately, it’s comparable with lover’s grief, it’s hurting, it’s pounding at the sight of a representation of snow. 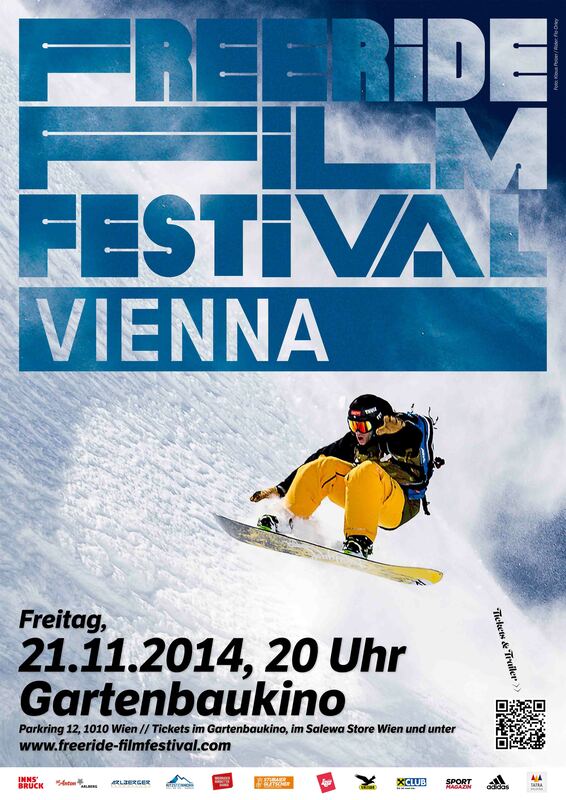 A substitute in form of mind-blowing movies, which every year show new and different facets of Austrian freeriding around the globe, is the Freeride Film Festival Vienna! Looking forward to next year already now!